At Chi Wellness Clinic, we follow the TCM philosophy that every woman is a unique and special person. The root cause of infertility or other reproductive conditions needs to be assessed on an individual basis. Each woman has the potential to restore her balance and reproductive wellness. Since 2001, we have helped many couples have healthy and happy babies. We enabled a 47 year old woman to experience her first pregnancy in her life, who gave birth to a baby girl. 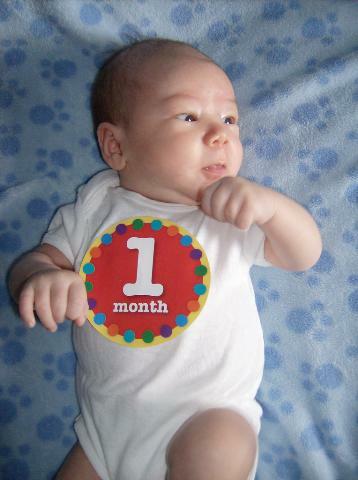 Along with our treatments, a 50 year old woman, enjoyed her first baby AJ through donor-egg IVF. With many women, we share their joys as well as their disappointments in their journey towards motherhood. For example, 38 years old Debbie had endured a miscarriage from natural pregnancy and subsequent failures in 4 IUIs and 2 IVFs. She and her husband came to us as a last resort in September 6, 2012. We geared up to restore her holistic well-being in her mind, body and spirit as well as to stimulate her reproductive functions through twice per week tuina therapy, acupuncture and herbal medicine. The couple was so worried about another disappointment that they did not tell their parents about her pregnancy until two months before due day. She delivered a beautiful boy, Patrick in June 3, 2013 -- a few days before her 39th birthday. Traditional Chinese medicine (TCM) has been dealing with fertility and women's health for five thousand years. During the Shang dynasty (1500 BC), Tuina massage was used to treat gynecological and pediatric conditions, as found in inscriptions on tortoise shells. Herbal medicine was used to treat infertility in an ancient medical text, Journal of Mountains and Seas, published in 475 BC. The canon of traditional Chinese medicine, Huang Di Internal Classic (Huang Di Nei Jing), describes comprehensive treatment for amenorrhea (absence of menstruation) and menorrhagia (heavy or long periods). It attributes women's reproductive changes to certain acupoint meridians (220 BC). We provide acupuncture treatment for women who seek natural pregnancy or assisted production procedures such as IUI and IVF. The frequency of acupuncture treatment ranges from 1-3 times per week, depending on the patient's specific signs and symptoms. If women have considerable fertility difficulties, we highly recommend Chinese herbal medicine in addition to other treatments. We use three proprietary formulas in each menstrual cycle. Called PreM, M and PostM, the formulas,taken in tea form, are made of natural herbs. We provide a list of English names of the Chinese herbs for patients or their physicians to review. In general, many reproductive problems take at least three months to be fully treated. Even if patients incorporate acupuncture in a later phase of their fertility efforts, they should expect some positive effects.